The Liberty 11 in. 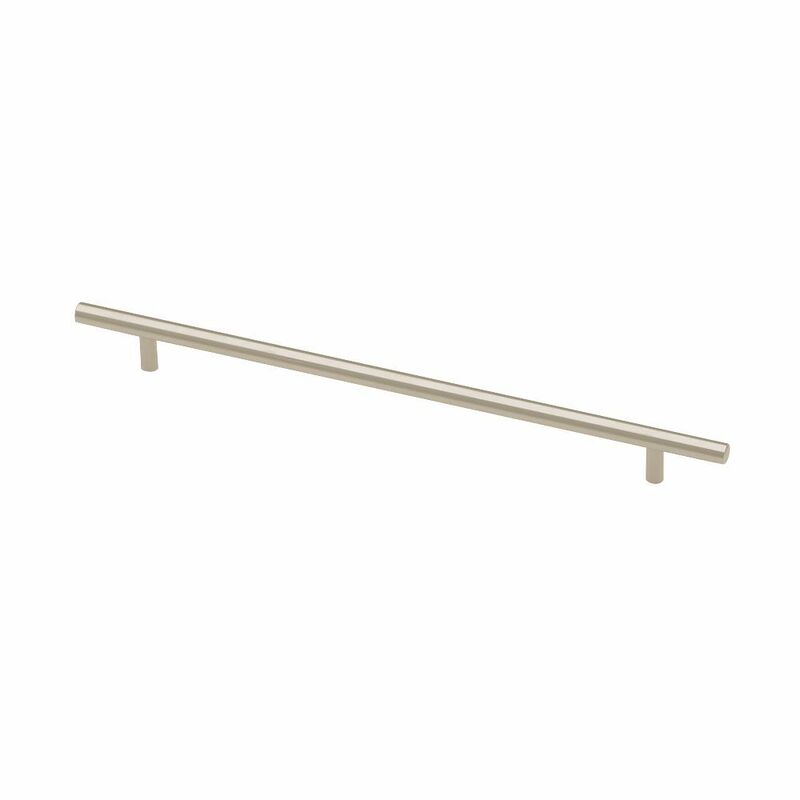 Stainless-Steel Bar Pull offers a cutting edge appearance to your cabinetry and blends well with an assortment of decorating schemes. It is designed for use on cabinets and features an 11 in. center-to-center measurement. Easy to install. 288/368mm Flat End Bar Pull The Liberty 11 in. Stainless-Steel Bar Pull offers a cutting edge appearance to your cabinetry and blends well with an assortment of decorating schemes. It is designed for use on cabinets and features an 11 in. center-to-center measurement. Easy to install. 288/368mm Flat End Bar Pull is rated 4.9 out of 5 by 17. Rated 5 out of 5 by HomeDepotCustomer from The fit and finish were as advertised.... The fit and finish were as advertised. Rated 4 out of 5 by Anthony from Quality product. Came as described. Relatively easy to install.... Quality product. Came as described. Relatively easy to install.